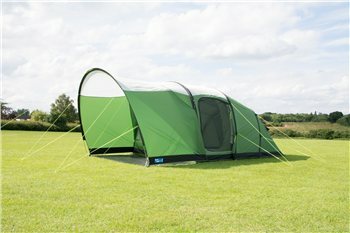 Picture show the Brean 3 Canopy on a Brean 3 Air Tent, this listing is for the Brean 3 Poles Canopy only. Please see Brean 3 Air Canopy if you have the air tent. The canopy fits onto the front of the tent. This flexibility allows you to tailor the tent to suit your needs for each holiday. It's the perfect extension to the tent. Easy to put up and makes a great dining room for when it's raining but too warm to be inside the tent.